After his great success with magic curse, Tarantallegra, XIA JUNSU released another single with one new song, a remix version of Tarantallegra and their instrumental tracks as a taste shot for his repackaged album. We heard much news about Junsu in New York and his corporation with American producers. There were many K-Pop singers who worked in the US and promoted their music to Americans, including JYJ, and we all know the level of Junsu’s English-let’s-not mention-“OmgSun”- therefore I was worrying about Junsu. Still, I didn’t lose hope in Junsu’s hardworking and born-to-sing spirit. 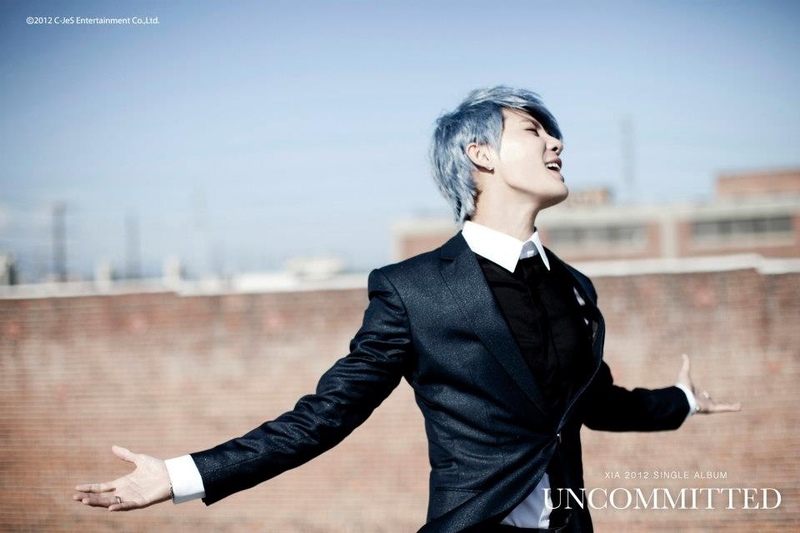 Finally, when the song Uncommitted is released, this was completely different from the music what Junsu has been doing. Most of TVXQ’s emotional songs are closer to the ballads than R&B, and sometimes they are hard to catch people’s ears by listening once. But the song Uncommitted has a catchy but deep melody and unique storyline and deserves a careful look on it. Also, we shouldn’t miss out another component of this album, Tarantallegra (Oriental Version). 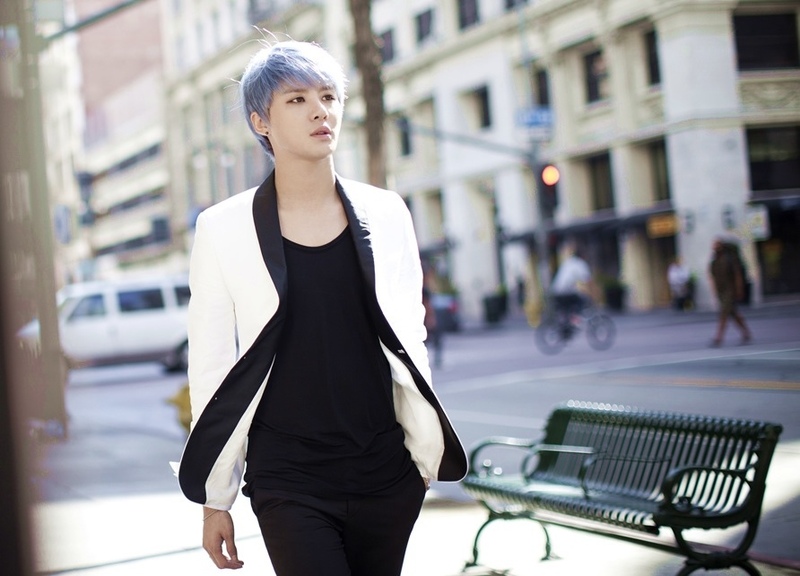 In the plot of the Uncommitted music video, it is easy to misunderstand Junsu’s role as a real player who doesn’t mind to change his girl friend in every two minutes. But in the beginning, the snap shots of past shows that he was in deep relationship with blonde-haired girl, but she started to doubt Junsu’s love to her and forced him to leave her. The main reason that she was unsure about Junsu is that Junsu was uncommitted to her, but all we saw were happy sappy couple holding hands and leaving together. Surely something was messing with her psychology. So they broke up and Junsu went to the club to forget this agony and met black-haired girl. It seems that even she doesn’t satisfy with Junsu at all, although she looks less cared by Junsu than blonde-haired girl. And he sings that he’ll never admit and understand that he was uncommitted to her, but she could be right since he left her and there is another girl around him. The black-haired barely speaks and doesn’t care what Junsu did in the past but either Junsu doesn’t care about what the girl thinks about his past. He will be uncommitted to her, and a sneer at the end proves that. We all know about Junsu’s English and let’s admit that there were many unclear pronunciations, but I don’t think that really matters because his Korean pronunciation is not clear either, so inarticulate pronunciation is a part of Junsu we can’t change, but we can hear that he tried a lot to pronounce them clearly; that’s enough. The last component of this single album is Tarantallegra (Oriental Ver.) which seems fail to satisfy Cassie’s heart even though it is in English. If a song is claimed to be Oriental, then we expect Asian feeling, or at least traditional Asian instruments. The sound of Ggwae-gwa-li (high-pitched small gong) matches with the song when it comes in and rapping parts, then it reaches the place that it sounds noisy. Actually Ggwae-gwa-li is a very noisy instrument because it produces cheerful and light rhyme and sounds so high. I doubt why he didn’t use other Oriental instruments. Hae-geum (Korean fiddle) can replace the string parts and huge gongs with different pitches can impact was electro-bases. Why, why, Junsu. Were you running out of time? This oriental version of song is disappointing instrumentally. But the English translation of song was beautiful and no one can think there would be original version of the song in other language if he/she listened to this version first. Every word makes sense although I’m still not convinced with his pronunciation. As a singer, Junsu has powerful voice that moves people’s hearts and transmits the emotion that he feels. Someone might say it’s not fair to him to do all solo activities as singer, but now we all see what kind of impact does this album brings in worldwide. It is not because he is from JYJ or TVXQ, but because he is Junsu himself who know how to soak people into song and how to keep his uniqueness while he melts himself with song. He always makes us proud to love him and support him.